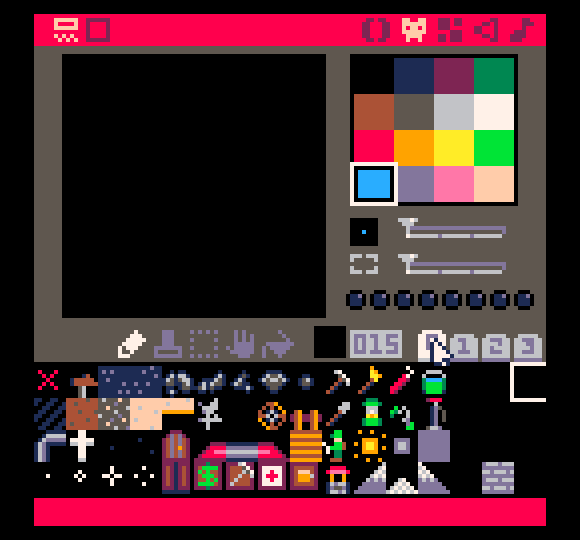 Working on a little demake of MinerVGA. Currently sitting at 15 ore types, 488 tokens, and 1 sprite page used. Most of the ores are loaded via peek() at sprite data. 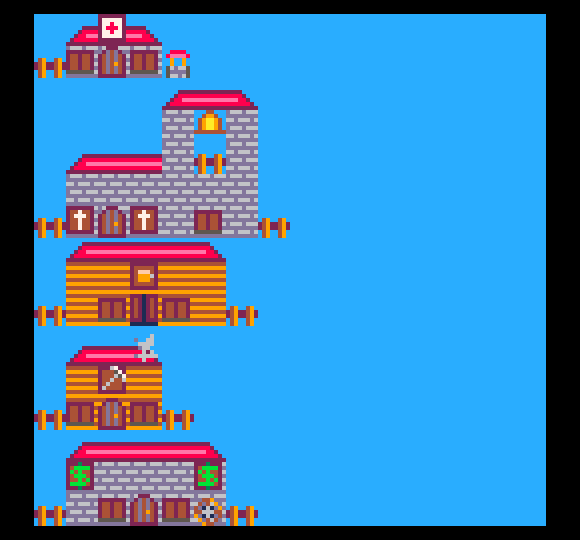 I want to keep it to one sprite page and 0 map pages, but we'll see how much I get done. looking very cute! keep going! Just a small little update. Graphics are more or less finalized right now, and its sitting at about 720 tokens. 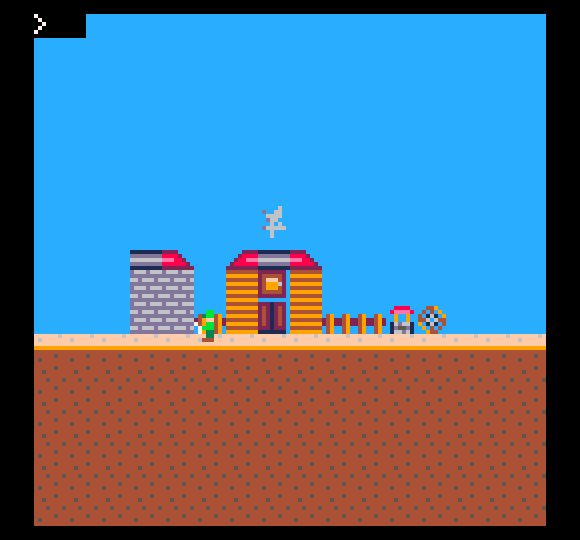 I have functions that generate several ore types, as well as background templates (eg, the buildings) that are ready to go. I don't have any game logic yet, but it should hopefully have some crude playability within a week. Worked on the inventory a bit more ... gameplay soon, hopefully. I'm excited to play this!